5.0 out of 5 stars Made me laugh aloud, and that doesn’t happen that often! A witch’s life should be perfect, right? But Annie has no intentions of becoming a witch like her grandmother. She is young, attractive, headstrong and single, and sometimes her life has a habit of turning itself upside down at a moment’s notice and she could use a magic wand. 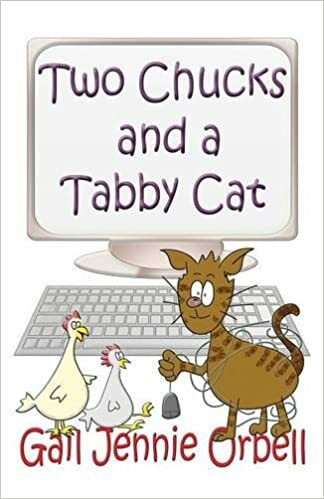 In the beginning, this story was deliciously funny and I anticipated a fun read. However, mysterious forces were soon at work, and a serious thread became apparent. Her best friend Lizzie, a widow, is struggling to bring up her young son, trying desperately to forget how her husband died and continue living her life without him. Annie has dark memories too, a nasty accident that she refuses to think about. Then an attractive man moves into the cottage just across the street, triggering her grandmother to conjure up wedding bells. But maybe he likes Lizzie instead? 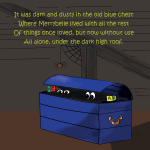 A brilliantly intricate, well-written story. So much going on and at times I laughed aloud. The serious bits were incredibly sad, but it works out well in the end, after a well thought out twist that I didn’t see coming. I would definitely recommend this well written book, for it has something for everyone and I defy you to read it with a straight face! Witch Ever Way You Look At Itcenters on Annie and Lizzie, best friends who are there for each other through thick and thin. One year earlier Lizzie had lost her husband, the love of her life, and now is left to care for their small boy, Charlie. Annie, proprietor of Annie’s Herbs and granddaughter of the local witch, has it made. Yes! The perfect friend, perfect granny, perfect life. “Everything was just plain perfect.” Sure, Lizzie likes to tease her about being a witch (“I am NOT a witch”), but she could allow those conversations to peter out with a few well-placed humorous comments for effect. 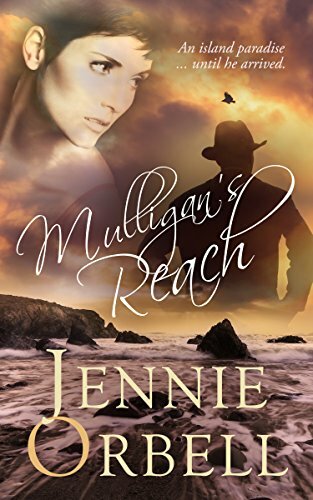 In the end they always move on to other topics, including her grandmother Wilhemina, or Willie, who often tries to bring Annie’s attention to this or that available male, despite our protagonist’s insistence that her life is happy just the way it is. And then comes Mace Anderson. 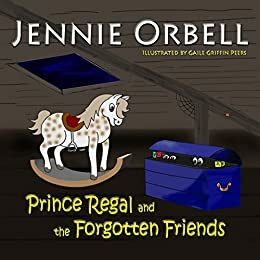 Rather quickly author Jennie Orbell playfully delivers an example of the timeless misunderstandings between men and women. Piercing pale-blue eyes nonetheless, Mace gets under Annie’s skin when he moves into a nearby cottage and seems to turn up at the most inopportune moments, catching Annie doing something quite reasonable—usually—but with an offbeat appearance or backstory. Shortly after Annie arrives home from coffee with Lizzie—at a café where Mace Anderson had been eavesdropping on their quirky conversation and making no effort to hide it—she finds herself underneath her new neighbor’s posh vehicle, attempting to cajole her feline pet, Bat, out from under, where he’d been hiding after stealing a pork chop from Mace’s kitchen. The words came floating down towards her left shoulder, as gentle as apple blossom falling on dew-soaked grass, and she knew, without a shadow of a doubt, that they had come from her new neighbour. She screwed up her face and mouthed the words ‘Oh God’ to no one but herself. Bat turned, swallowed a large chunk of pork and licked his lips. “You bugger” she mouthed at the cat, before taking a deep breath and crawling out from under the car. A hand was extended from above, which she ignored, and she rose slowly to her feet, tugging down her dress which she felt sure had ridden up to her armpits and had exposed her half-naked body to a total stranger. ‘I was looking for my cat,’ she said, with an ever widening smile. Later, as Annie discusses with Willie Bat’s thievery and meeting up with Mace for the first time, Willie is dismayed. ‘I was talking about Bat,’ Willie said. 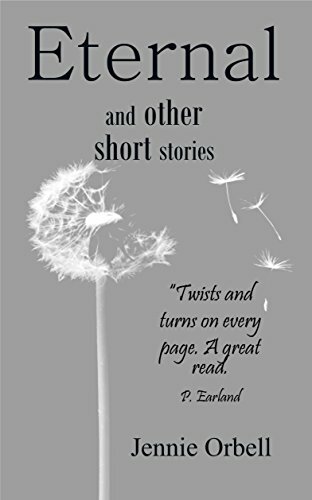 With this, the author sets up a series of circumstances and misunderstandings that lead to the absurd, the alarming, even the life altering if they move forward unabated. Some of the results are hilarious, others cause a skipped heartbeat here and there and the author’s telling of them is spot on in her observations of human nature, as is the adroit manner in which she weaves words together. The characters speak to each other in dialogue that is true to life, and I easily heard their conversations as I read, sometimes aloud. 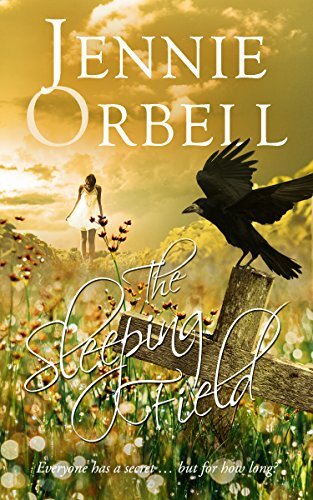 Orbell is adept at moving characters through various ups and downs while preserving the integrity of each one’s voice. She then does one better by creating an underlying thread, one that results in a second storyline, the magic of that being that readers accompany Annie through her trials and tribulations without awareness of this second story. This parallels Annie’s own experience of these events in that she doesn’t seem fully aware of the effect her past has on current circumstances, as well as in how she allows herself to advance toward the future. She believes she is just moving forward. This dual plotline reveals another strength from Orbell: the ability to pair humorous antics with poignant reality. We also see Annie in ways her public persona does not necessarily showcase: not only as a considerate person, but also an individual with thoughtfully developed interests and concerns, as well as someone quite competent and in a pinch capable of securing the wherewithal and ability to perform. Of course, this type of multi-dimensional character is what readers appreciate, and they will feel the same about the creator, who skillfully pairs wit and wisdom in a balance that can be rather difficult to strike. Orbell does it with dexterity and grace, resulting in a read that is both straight up fun as well as tenderly poignant. As Annie and readers learn together, her life may not be as perfect as it once appeared to be, though the roads traveled and discoveries made contribute to a shared experience that neither would trade, though for different reasons. On our part, we can also relate to so much of the interaction, perhaps because much of it triggers the sort of coming to awareness (serious as well as light) that enables laughing at oneself, or the softening of a necessary blow, something most of us have also experienced. 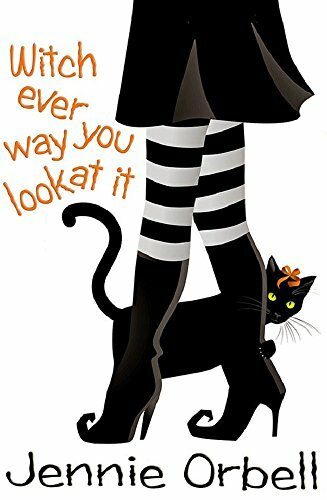 Filled with characters we’d love to see again, Witch Ever Way You Look At It is a compelling and rewarding read, one that drew gasps at times, made me laugh and caused my heart to swell. I also loved the passages that include the herbology Willie uses for her spells and Annie’s work with her herb business. It was fun to read about, but also intriguing and made me want to engage in the pursuit as well—all while staying light and on course for the events being discussed. 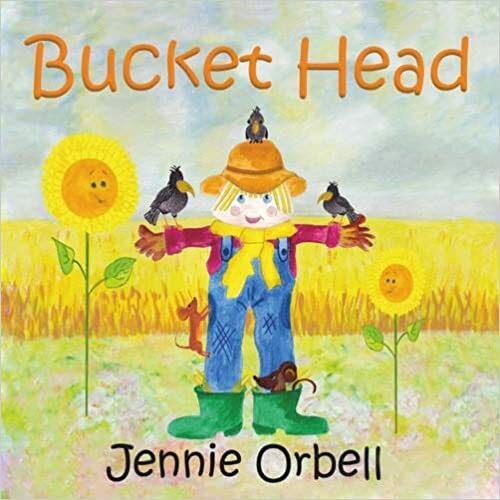 I will most definitely be reading more from Jennie Orbell, and recommend with much enthusiasm this start to her world. It is singularly spectacular and I won’t complain if the author were to whip up a little more magic and bring these characters to us again. In fact, that would be perfect. A humorous and fun read which in parts made me laugh out loud and in other areas the humour was a tad more subtle. There is also a serious element with a number of interesting twists and turns and one major surprise! 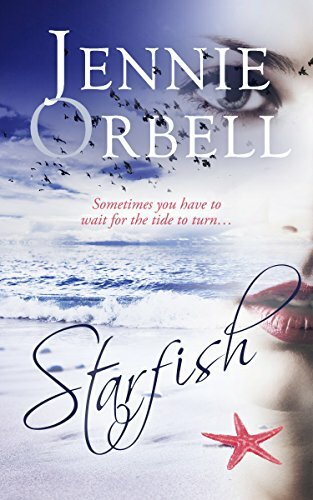 As well as being able to weave wonderful stories, another reason I love Jennie Orbell’s books is that the characters are so real and I feel for them almost as if they’re my own friends. 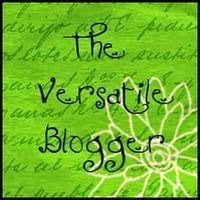 Her descriptions are superb too without being over the top – I felt like an interloper in Annie’s country cottage and the café where Annie and Lizzie meet. A thoroughly enjoyable book, which I highly recommend if you want hours of escapism and a good laugh. Jennie Orbell has a real way with words. An absolute brilliant story that flows along with ease. It is hard to write a good book that is quite funny, as well as very sad, but still has a riveting story the whole way through. She manages to do just that and give the reader so many emotions. I have giggled, cried my eyes out, had goose bumps up and down my spine, but to name a few. What more can you want from a good book I ask myself. On the surface, Annie’s idyllic life as a herb grower in the West Country seems normal. She has a friend, Lizzie, who has a young son but needs support as she is a young widow. But,….a new neighbour, Mace Anderson moves into the cottage across the way. His demeanor aggravates Annie so much so, that her manner changes utterly. Why does Mace have this effect? Annie’s grandmother ( self proclaimed magical healer ) likes him, Annie’s friend and son Charlie like him. So what is not to like? Mistaken feelings, hints of magical charms, Annie is forever changing her mind about him, getting involved in kooky actions. She sees him going in different directions constantly. Grannie has other ideas about Annie’s future life. Whatever will happen? Read, enjoy, find out. As with this author’s other books, her characters and their lives are well thought out. The twists and turns are never quite what you, the reader, expect. Another five star offering.